The multi-year collaboration with Atheon Analytics and its SKUtrak software will provide better insight across its entire grocery supplier base. SKUtrak provides grocery suppliers with a single visual reporting and analysis hub for trading performance across the UK’s largest grocery retailers. Over 500 companies already use SKUtrak to identify service issues, understand stock positions and quantify the impact on availability, waste and sales. Engaged SKUtrak users reduce out-of-stock incidents and waste by as much as 80%, saving suppliers and retailers millions every week. The addition of a dedicated Co-op service is expected to drive the SKUtrak audience to over 1,000 organisations in the next 12 months alone. 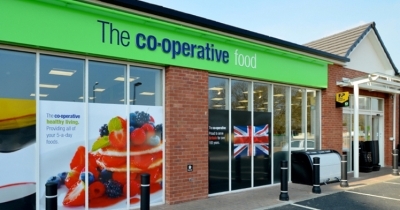 All Co-op suppliers are now able to utilise free SKUtrak dashboards to monitor daily service level, availability and sales; helping Co-op and its supplier collaborate to improve availability for shoppers across the Co-op store estate.